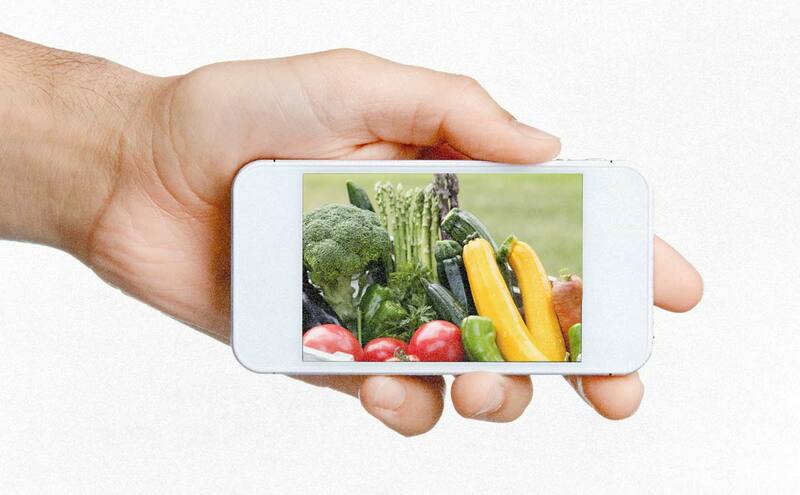 A bumper crop of apps is sprouting up, helping connect farmers with consumers who want to keep it local. As money is once again flowing into grocery-delivery services of all kinds, new, tech-driven business models are springing up in the local-food marketplace. First with the Web and back-end software, and now increasingly with mobile apps, logistics are becoming much easier to manage for both farmers and consumers, creating lots of new business models and — finally — starting to attract substantial financial support. One reason is that investors have finally gotten over their fear of putting their money into another Webvan-like debacle. That grocery-delivery company got too big, too fast, and never really had a serious business model. It imploded toward the end of the dotcom boom, becoming the go-to symbol of that era’s excesses. That fear is dissipating as it becomes clear that there is real demand for markets that connect farmers and eaters. At the same time, farmers, notoriously hesitant to take to new technologies, are coming around. Younger farmers, not surprisingly, are much more comfortable with new tech. The result is a rapidly changing market. For more than 20 years, “eating locally” has mainly meant farmers’ markets and Community Supported Agriculture — where customers buy shares of a particular farm’s crop well in advance. New business models are aimed at either making those markets easier to manage or supplanting them altogether. In some cases, the latter aim is part of the point. “We’re replacing the traditional CSA,” says Zach Buckner, the CEO of Relay Foods. His company is a one-stop shop for the delivery of all manner of foods, not just local produce. But the company markets its “local and sustainable” fare quite heavily. For Buckner, the traditional CSA was an “evolution” from what he calls the “stone age” of “farmers dragging their stuff to a parking lot in Mayberry, or whatever,” but his kind of company is a further evolution from that. Relay, Good Eggs, and others like them take some of the friction out of the market, but plenty of friction remains. Like grocery stores, they buy from producers and wholesalers and store inventory, delivering it to customers via their own trucks. By contrast, City Sprout is aimed at simply connecting farmers and eaters by providing a platform for producers and consumers to trade with each other. Someone — a corporation, a school, a homeowner’s association — sponsors a spot where farmers show up with their goods, all already purchased online by City Sprout users. The farmers (and also local bakers, etc.) pass the goods to customers and head back to work. City Sprouts never touches any inventory and doesn’t need any trucks. “It’s a true-blue marketplace,” says Jesse Mayhew, City Sprout’s chief operating officer. The company takes just 15 percent of sales, while companies that actually handle inventory are forced to take a much larger cut, resulting in higher retail prices. Farmers, Mayhew says, have never been unwilling to do all the work it takes to get food to customers, but they are generally loathe to spend a lot of time on marketing and merchandising — and that’s all City Sprouts does. The farmers themselves (who get a bit of training from the company) are responsible for updating their own online storefronts, including uploading pictures of available foods but none of it is particularly difficult or time consuming. The company is new, and so far is operating only in the Austin, Texas area, with about 30 designated locations that each operate once a week. City Sprout is now raising venture capital — somewhere between $2 million and $6 million, considerably less than outfits like Relay Foods have gotten, thanks largely to it not needing warehouses, trucks, or inventory (or many employees: so far, there are just five). Most immediately, plans are for expansion to two cities, one on each coast. Mayhew mentioned Portland, Ore., and Boston. With Relay Foods operating in cities such as Lynchburg, Va., and Annapolis, Md., and City Sprouts thinking about expanding into cities like St. Louis (which Mayhew specifically mentioned as a possible future site), the notion that such services can work only in dense cities like New York and San Francisco (where 16% of the population already have their groceries delivered) is fading fast. That’s thanks to both changes in consumer attitudes and developments in technology. Eating locally isn’t just for hippies and hipsters any more, and pretty much everybody has gotten used to buying stuff online. Now that investors are getting on board, the “land rush” is on, according to Mayhew. So far, City Sprouts’ business is all done on the Web, but a mobile app is in development and should be ready in about six months, Mayhew says. Since then, Local Food Marketplace has created custom apps for 15 more local vendors across the country, including buyers clubs, co-ops, wholesalers, and individual farmers. The company charges vendors a “small license fee,” McCann says, and takes between 1.5 percent and 3 percent of gross sales. According to McCann, we’re still at the very beginning stages of such operations going mobile. She says she’s helped some of her customers add mobile to their existing Web-based ordering systems, but in several cases, “they had no system at all, let alone an app.” There is, she says “a low adoption curve for technology in farming, period.” Some of the customers of her customers – chefs, generally – had been texting their orders in to vendors. Dana Smith of Farmappetit, a Sacramento-based developer of of mobile apps for farms and small food and beverage businesses, agrees that we’re about to see a huge spike in adoption of mobile tech by farmers. “Farmers think apps are cool, but until recently, they have been unwilling to to adopt the technology for one reason or another,” she says. But critical mass is about to be reached. “All they need is a proof-of-concept,” she says, and those are happening all over the place. McCann recommends that vendors use both the Web and mobile apps, but that apps definitely have the edge. She has run the numbers on her customers’ results over the past nine months, and found that once an end user starts using an app, they go on to use it, rather than the Web, 70 percent to 80 percent of the time. And sales are higher through apps, sometimes remarkably so. Orders via app, she says, are 30 percent larger on average than they are when placed the web. She believes that’s because when you’re ordering on the web, “you have to do it all at once,” but with an app, “you just add stuff as you go,” or whenever something pops into your head. A chef pacing through a pantry to check inventory and placing orders would be way better off with a mobile app, where ordering can be done on the go, in real time. Apps are also a much better marketing vehicle, McCann says. Push notifications are way more effective than email or Facebook notifications, and they “allow you to treat each customer in a special way.” For instance, if a customer likes a particular farmer’s strawberries, a message can pop up with an alert that those strawberries just became available. Mayhew, of City Sprout, is about as certain as can be that we’re on the cusp of a major revolution in the local-food movement. Thanks in particular to mobile apps, “it’s all going to change within the next year,” he says.